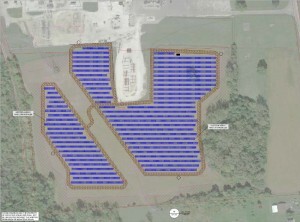 Inovateus Solar, a national provider of solar energy services, is installing two solar arrays for electric cooperative power supplier Hoosier Energy. The arrays will serve utility customers in central and southern Indiana. The project is part of Hoosier Energy’s plan to add 10, 1-MW arrays across member service territories. The first project was completed in August and sits on a nine-acre site near mile marker 122 on Interstate 70 in New Castle, Ind. The second is located along Interstate 69 near Bloomfield, Ind., in Greene County and was completed in September. Each 1-MW solar array consists of 4,320 solar panels designed to increase power production by following the sun as it rises and sets. 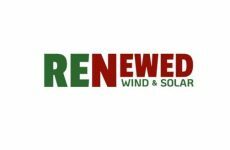 “The solar program is part of Hoosier Energy’s all-of-the-above strategy to provide the best balance for an affordable power supply,” said Heath Norrick, Manager of Renewable Energy for Hoosier Energy. Inovateus Solar is now collaborating with other cooperative and municipal utilities across the country. “Solar now works in Middle America and is truly coast-to-coast. We now have a model where utility-scale solar is affordable everywhere. Co-ops and municipalities represent their members and are giving the power back to the people. 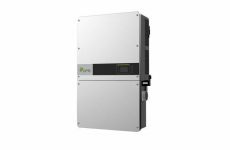 After all, the sun shines on everyone,” said Inovateus Solar President TJ Kanczuzewski.